Thinking About HOW You Did: How Did I Do? 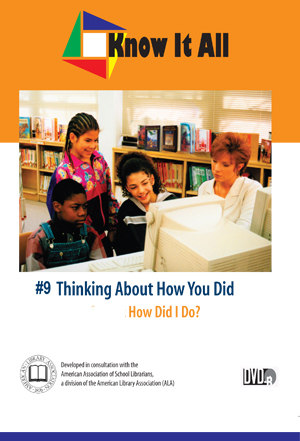 Home > • Language Arts > Know It All > Thinking About HOW You Did: How Did I Do? Zach develops an interesting story for the Young Author’s Contest, but ignoring the four-step process leaves him off the mark in accuracy. To give his story the authenticity it needs, Zach reviews what he wants to know and learns where to find accurate information. Your students will learn how to evaluate their final product by reviewing the four-step process and revising as necessary.